KATHMANDU, Sep 5: Rastriya Janat party Nepal (RJPN) has finalized its candidates for the post of chief of 109 local units and deputy chiefs of 78 of the total 136 local units in eight districts of Province-2 for the September 18 local polls amid rows and disputes. The largest Madhes-based political party is yet to finalize its candidates for 22 local units though there just a day to go before the candidacy nomination date set by the Election Commission. Four key leaders of the party have quit the party expressing discontent over the candidate finalization and some of them have decided to join other political parties. 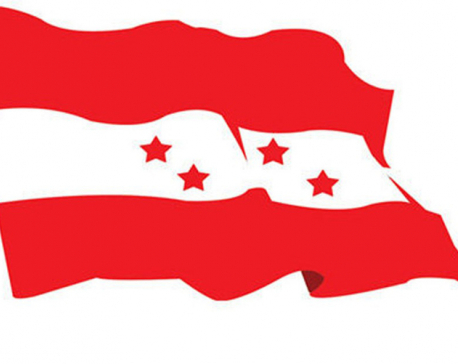 RJPN had been struggling to manage the high number of aspirants in its stronghold province. The party was formed recently after the merger of various six Madhes-based political parties. The party has failed to finalize both chief and deputy chief candidates for various 22 local units while chief's candidates for other five local units and deputy chief's candidates for 36 local units are yet to be finalized. The party has finalized its candidates for either one or both posts at 114 local units by Tuesday evening. “The candidates for the remaining local units will be finalized by Wednesday after consulting with local party committees,” said party leader Manish Kumar Suman. RJPN General Secretary Bimal Shreevastab, Co General Secretary Gajendra Mandal, Chief Whip Jangilal Raya and influential leader Shivapujan Raya quit the party immediately after the party finalized the candidates. Shreevastab will be joining Bijay Gachchhadar-led Nepal Loktantrik Forum while Raya has already joined CPN (Maoist Center), said the party sources. Six office bearers of the party have decided to contest as mayor including in Birgunj Metropolitan City and Janakpur Sub-Metropolitan City. RJPN Vice Chairman Ram Kumar Mandal has been contesting from Mirchaiya Municipality of Siraha while other three general secretaries and a spokesperson are candidates at other local units. General Secretaries of RJPN, Rajesh Man Singh has been picked as the mayoral candidate for Birgunj Metropolitan City of Parsa, Ajay Gupta for Gaur Municipality of Rautahat and Shiva Prasad Patel for Bahadurmai Municipality of Parsa district. Likewise Spokesperson Lal Kishor Sah is contesting for Janakpur Sub-Metropolitan City and Joint General Secretary Nejamuddin Samani has been picked as the mayoral candidate of Pokhariya Municipality. RJPN presidium committee member Rajendra Mahato's elder brother is contesting for the post of chief of Chandranagar Rural Municipality.